‘Where is everyone?’ Telly, the bus driver, always took pride in being on time to pick up the school kids. That particular day he realizes that something is out of place. 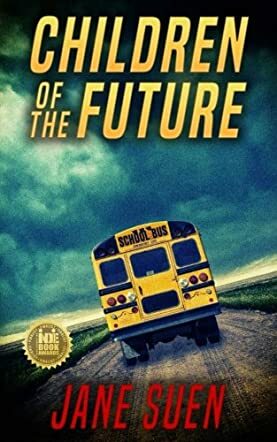 In Children of the Future by Jane Suen, readers learn that all the children in the school are missing, except Billy who is frightened and has hidden himself in the cabinet. Everyone in the little town of Rocky Flats is worried. Nothing of this sort has happened before and they must find the missing children. Telly, with Billy's help, tries to find out what has happened to the twenty-five children and three teachers and their mysterious disappearance. What has happened to the children and teachers of the school? Will Telly be able to find the missing children? The book conveys a good message to readers through the story and children will enjoy the twists and turns, and suspense and mystery. The story is refreshingly original and the detailed narration will take readers right there where it is happening. The author manages to build up the suspense in the plot as the story progresses, and comes up with an unexpected ending. The book is good for bedtime story-telling. The storyline is interesting and the characters are well developed and the story will interest young adults too. The author does a great job of capturing the fears and frustrations of the people of the town of Rocky Flats and she manages to hold the attention of readers till the very end.